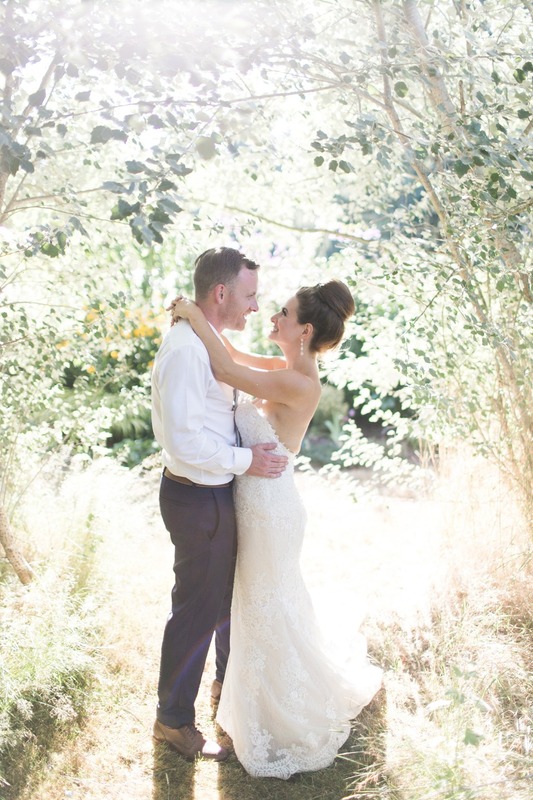 Ohh we can't wait to share with you this next wedding! 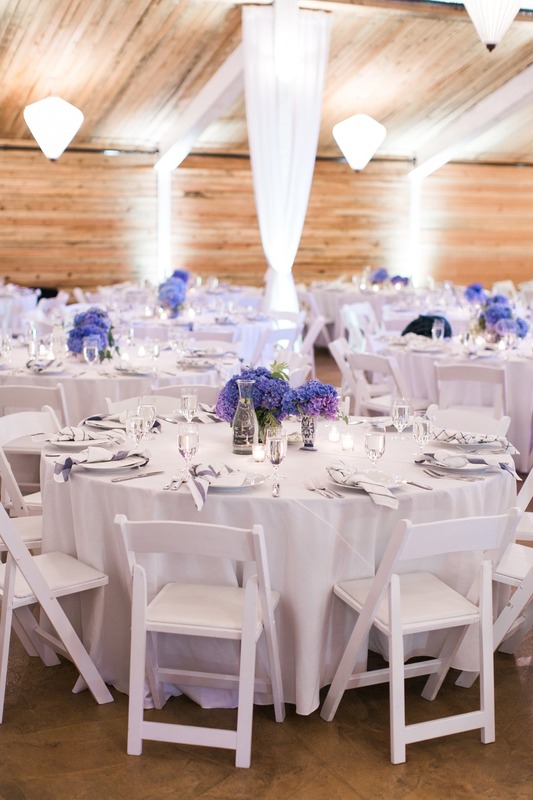 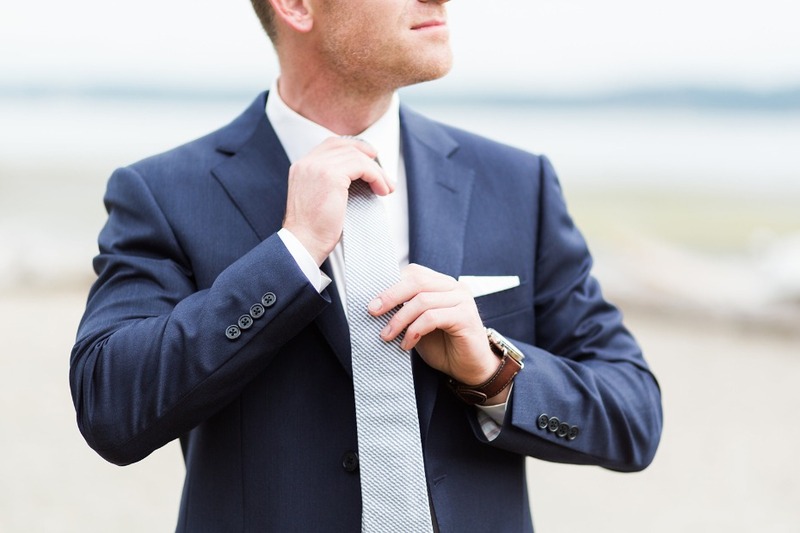 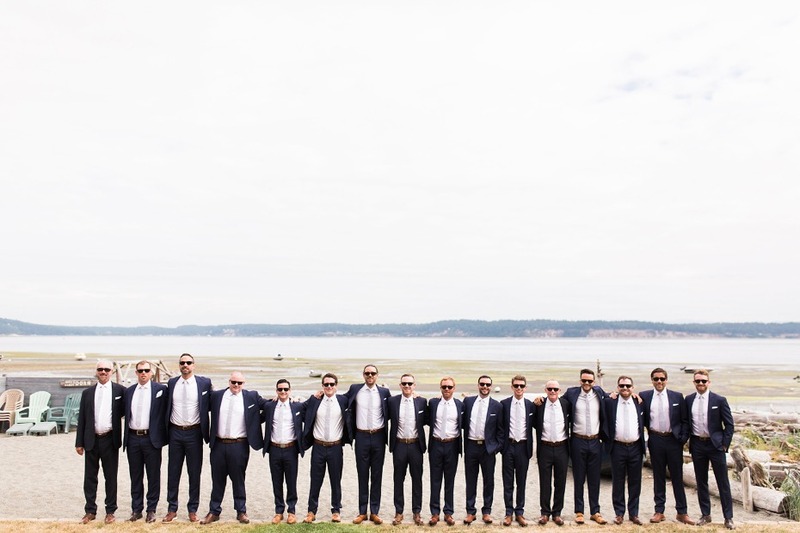 Brenden and Kelly perfectly blended each of their styles to create the whimsical preppy look of their weekend-long wedding celebration at Fireseed on Whidbey Island. 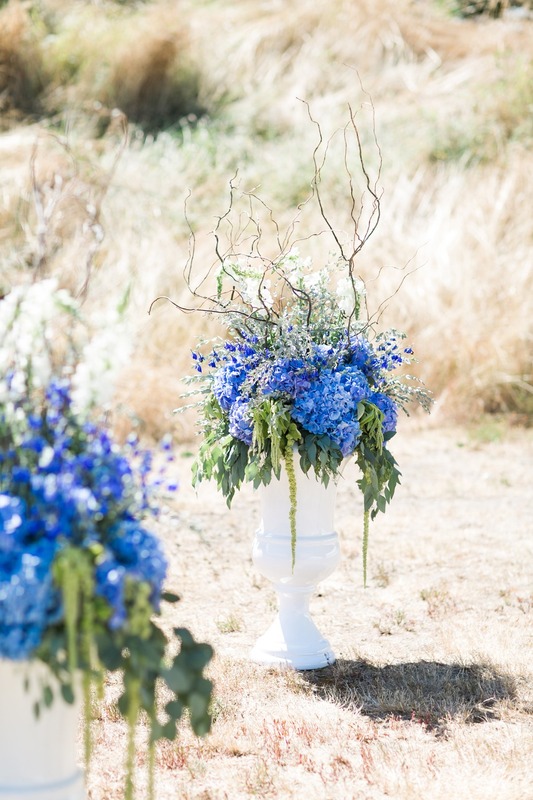 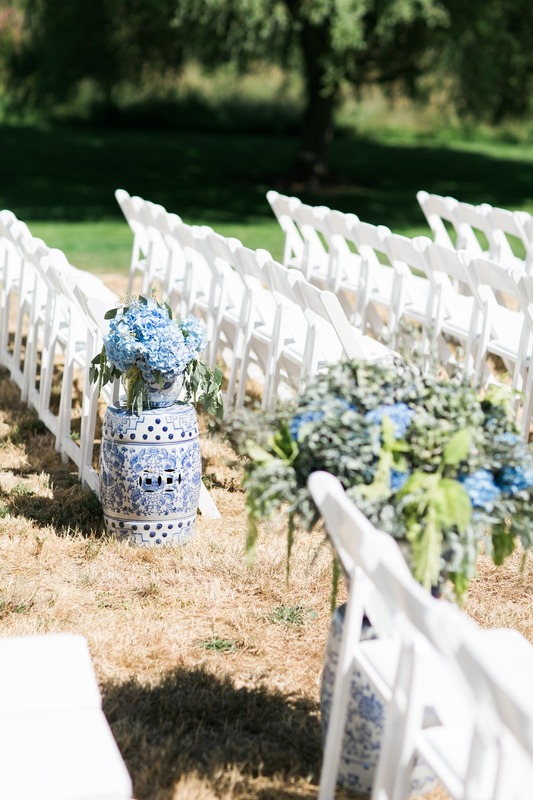 With a palette of blue and white, they chose blue hydrangeas centerpieces in chinoiserie-inspired urns, along with loose elements of oyster shells and eucalyptus throughout. 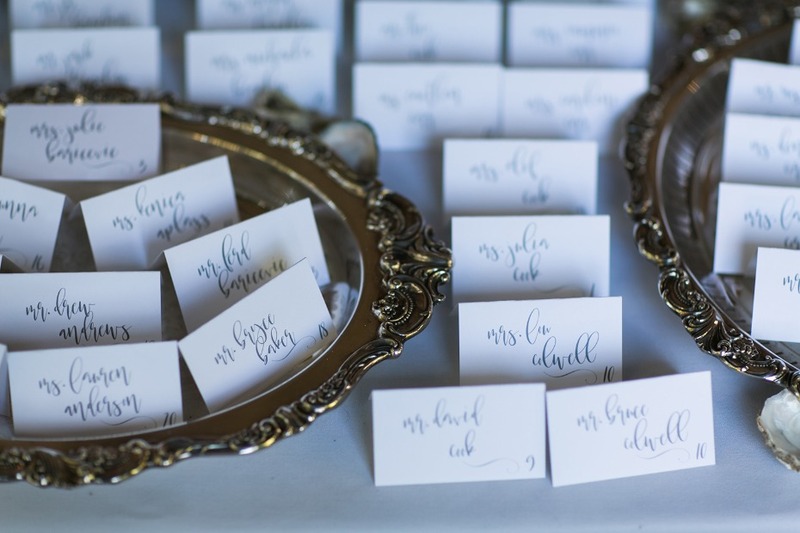 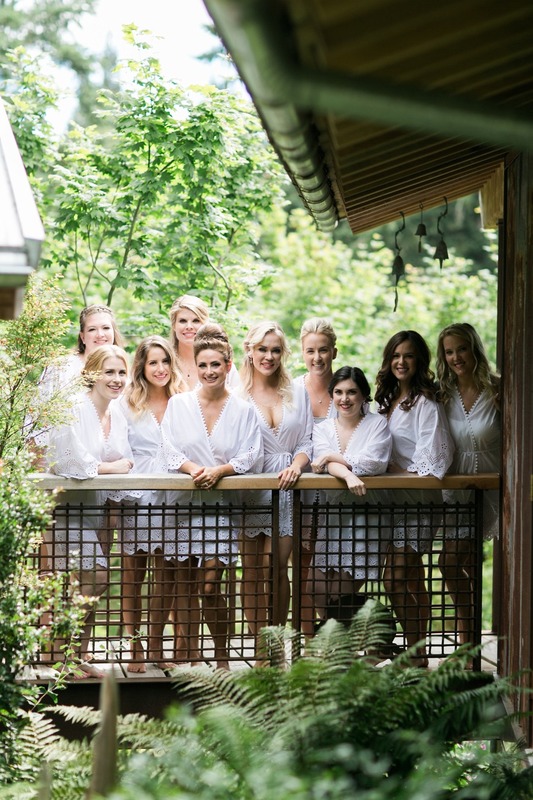 See it all for yourself below, and find every last detail in the full gallery captured by Matthew Land Studios. 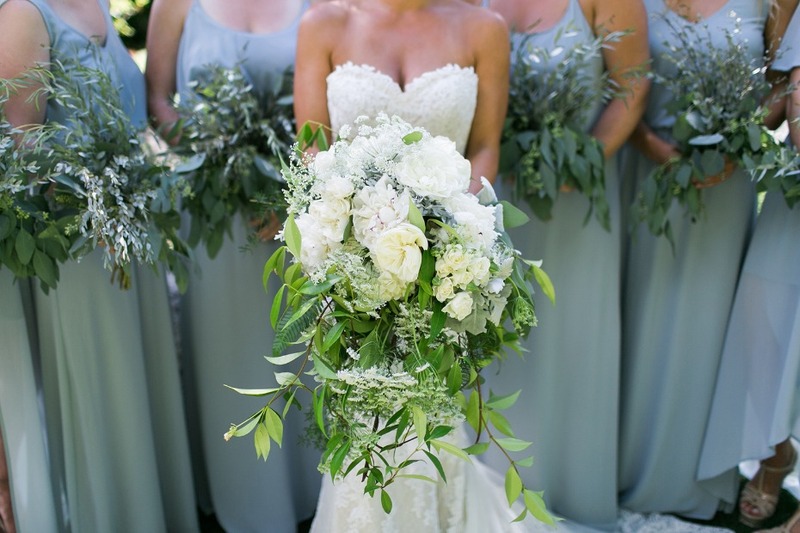 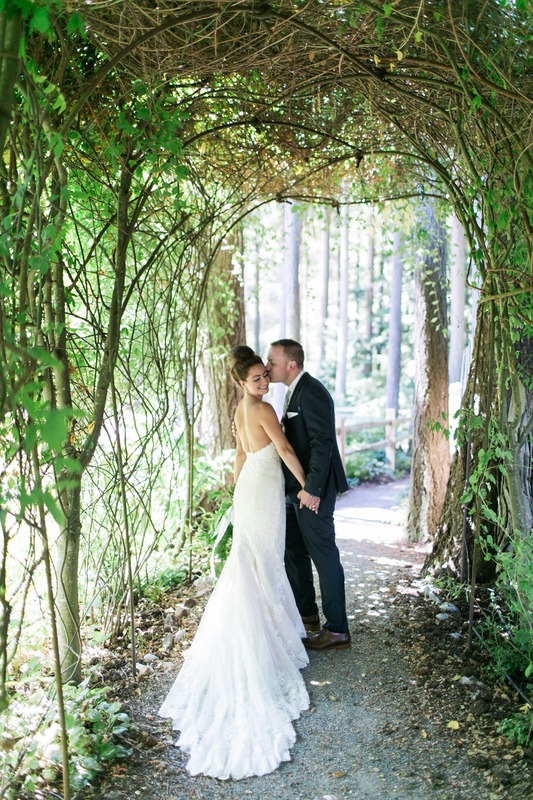 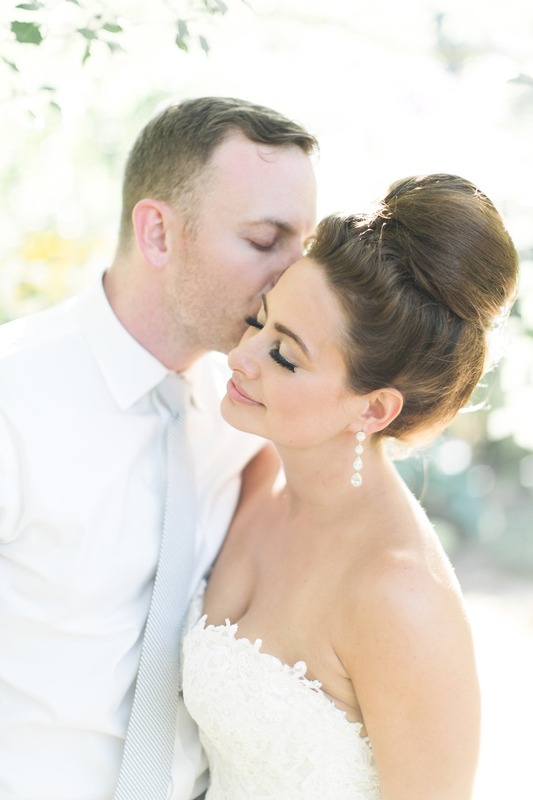 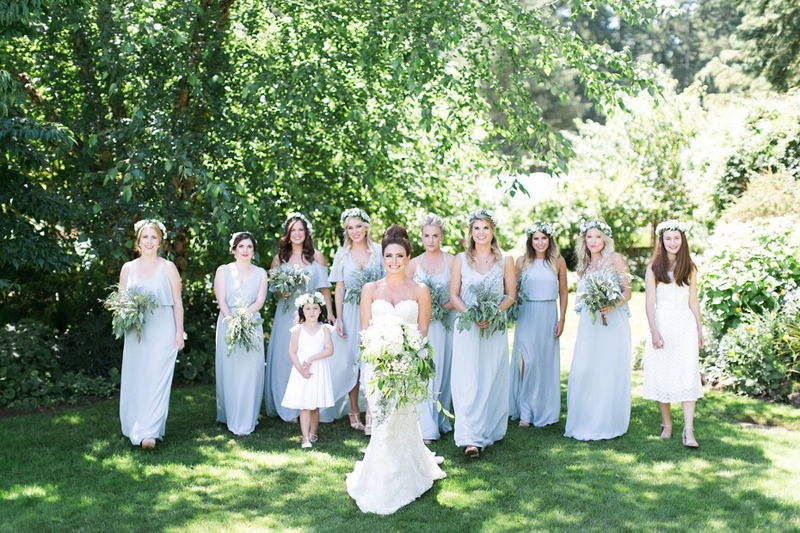 From Bridal Bliss: Brenden and Kelly were married at Fireseed on Whidbey Island. 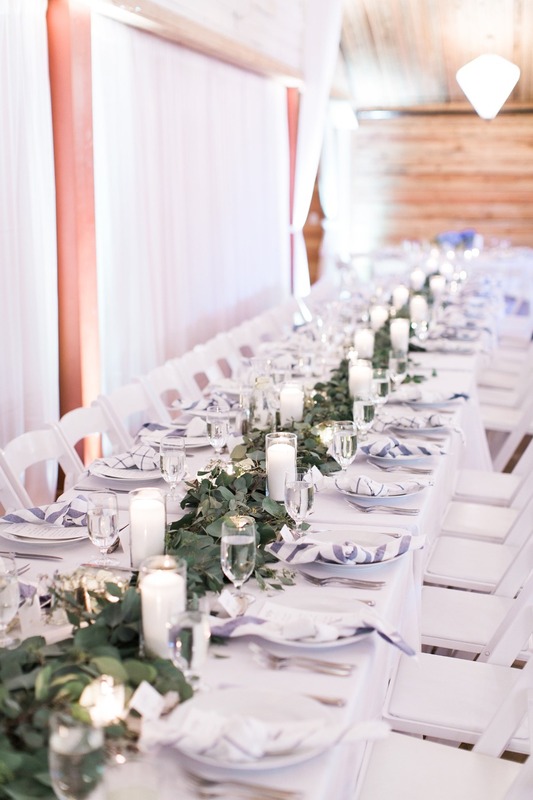 The entire weekend was a celebration (the best way to do it! 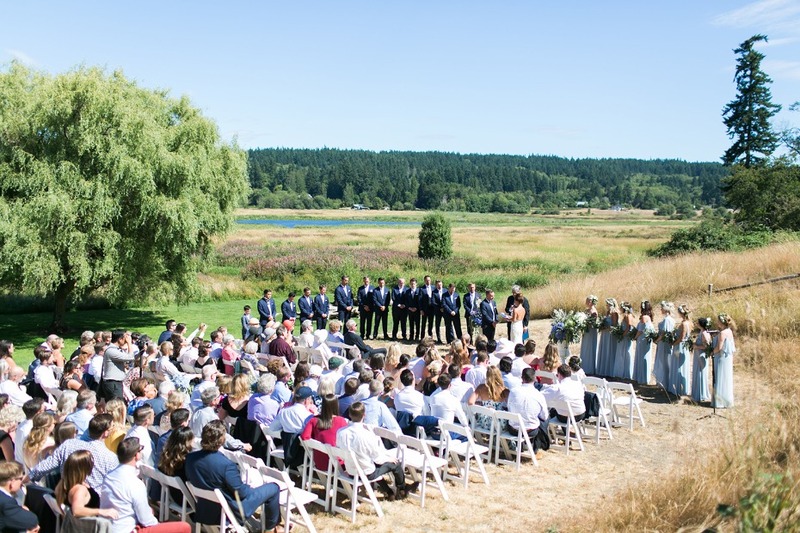 ), starting with an intimate farm-to-table meal at Orchard Kitchen, followed by a lively welcome party at Useless Bay Coffee Company. 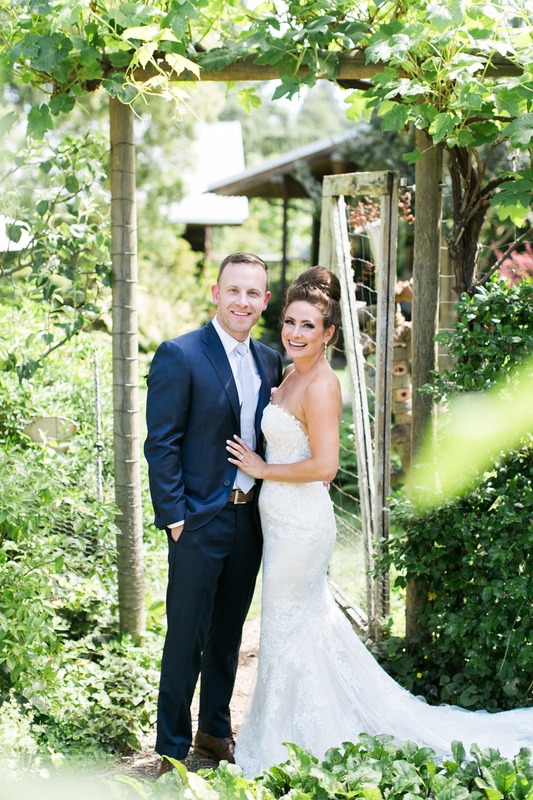 Guests had come from all over the country to celebrate these two. 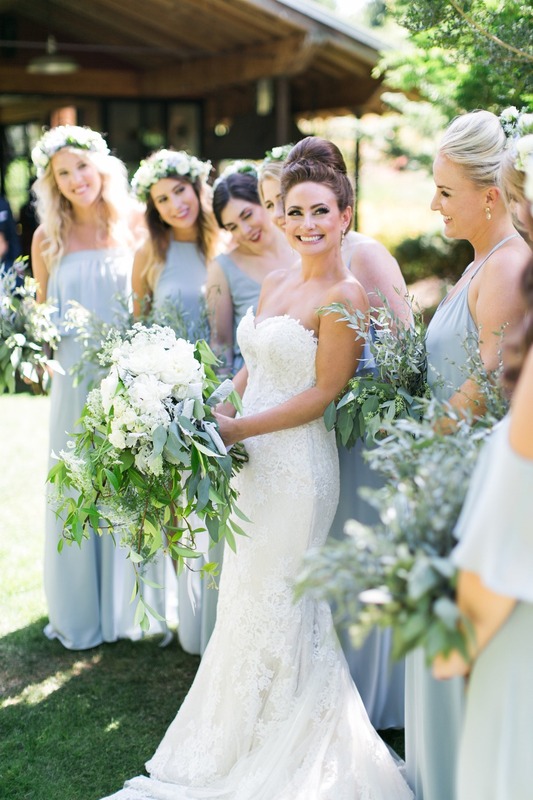 We were greeted by sunshine on their wedding day, allowing Kelly and Brenden to wed on an open field with not a cloud in the sky. 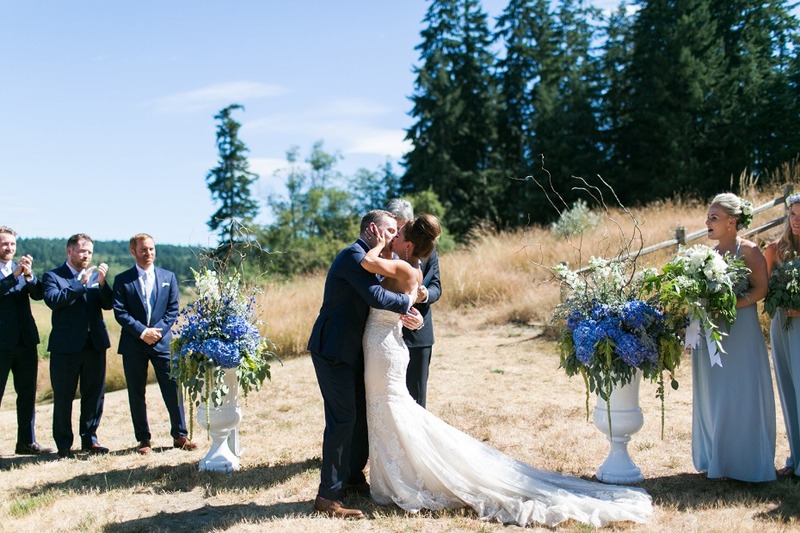 The most thoughtful "I do's" made welcoming a new member into our family that much sweeter. 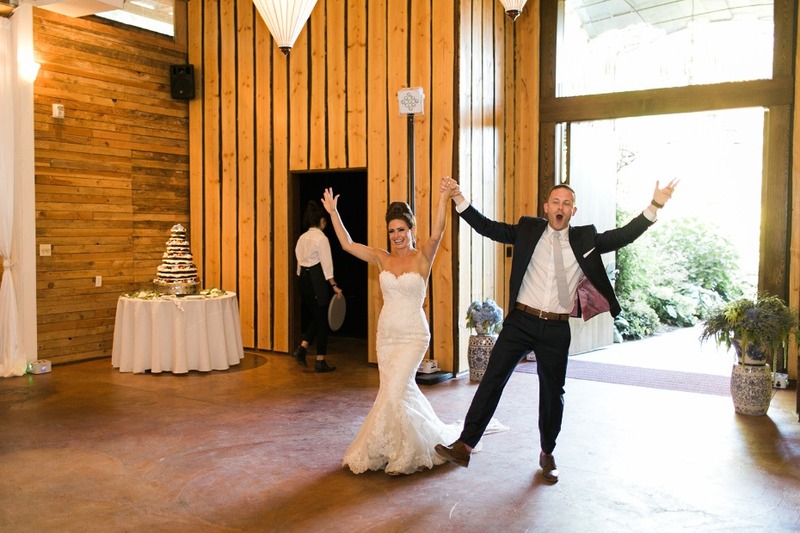 And then in true Corr fashion, the party began - or I guess began again after the first two nights! 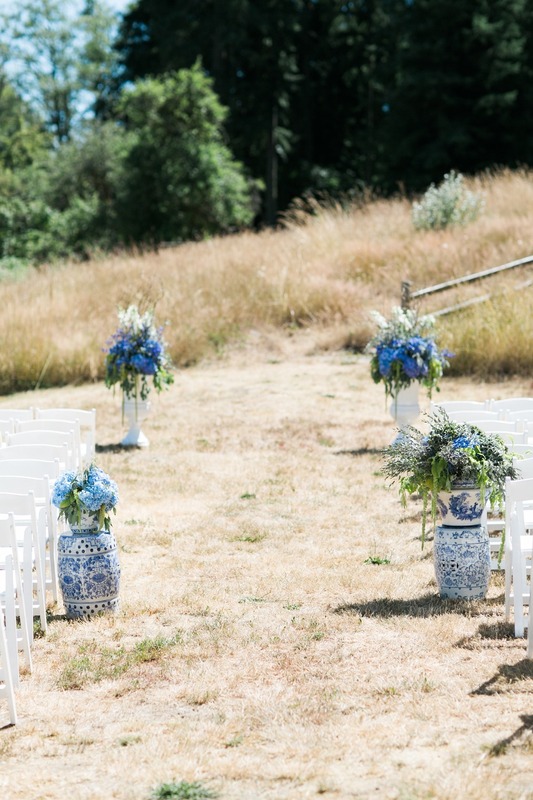 Brenden and Kelly are the perfect mix of preppy & whimsical (His and Hers) which came together beautifully at this unique venue. 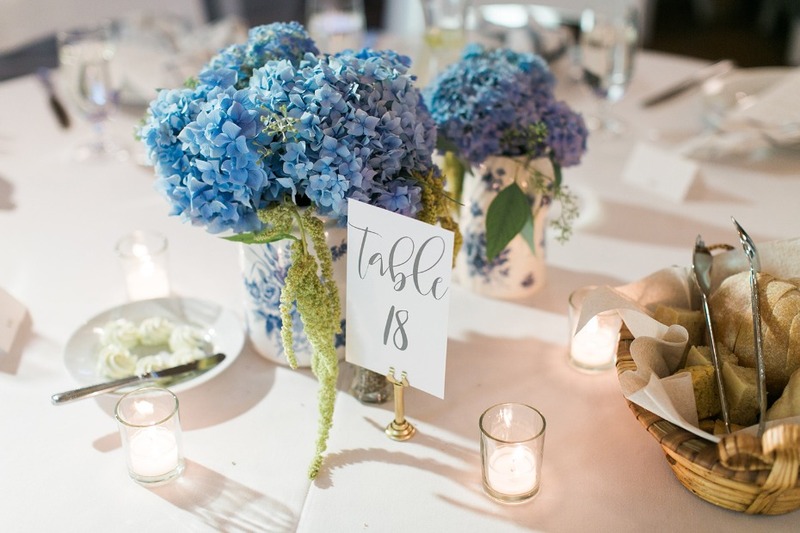 Guests were directed to their seats by a display of oyster shells (him) on vintage silver trays that belonged to their moms, aunts, and grandmas (her), inside they found a palette of blue & white (him) anchored by chinoiserie-inspired urns filled with hydrangeas (Flowers by Shamay) that the two had collected the year leading up to the wedding (her). 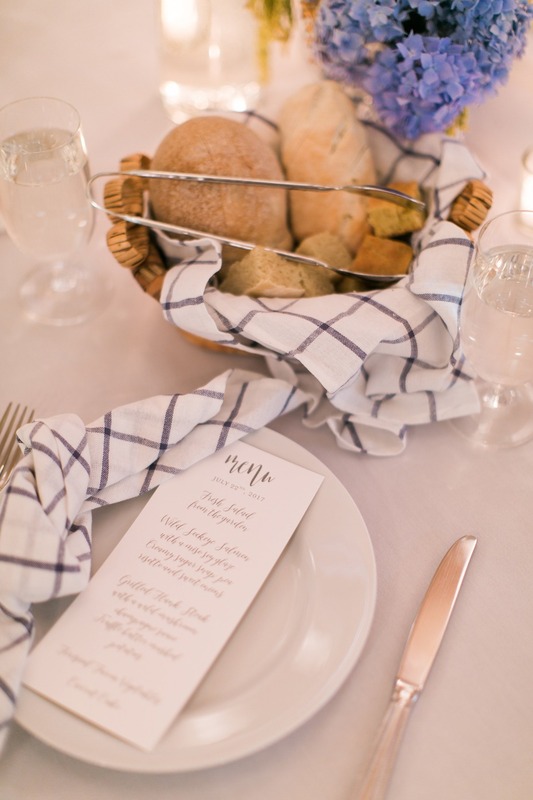 Even the menu itself, prepared by Fireseed Catering felt like the perfect combination of these two. 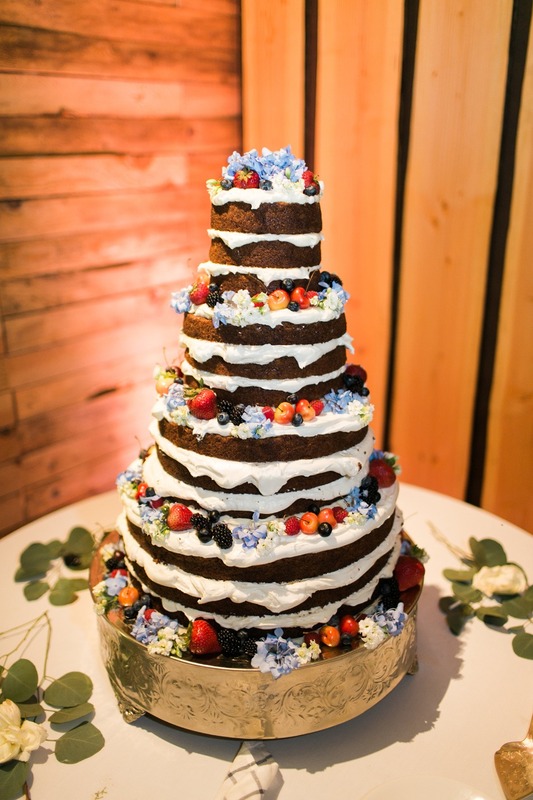 After an amazing family-style meal, we toasted, ate more (homemade carrot cake! 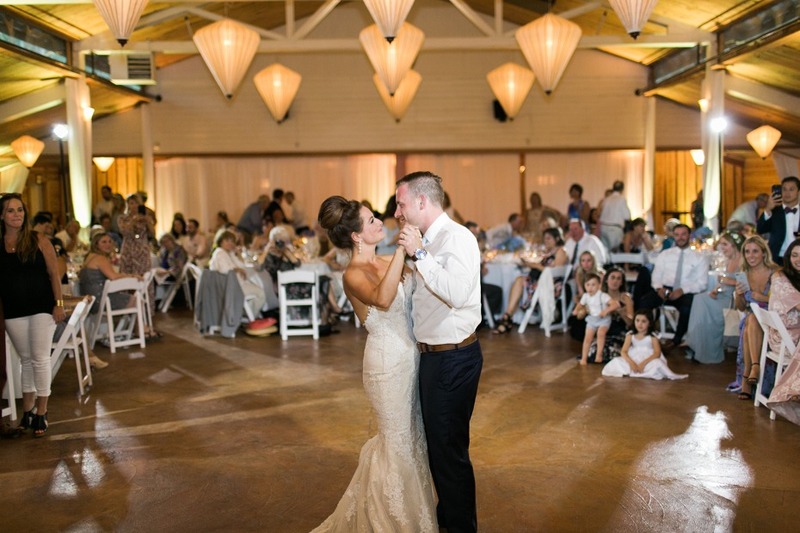 ), danced, and danced some more!